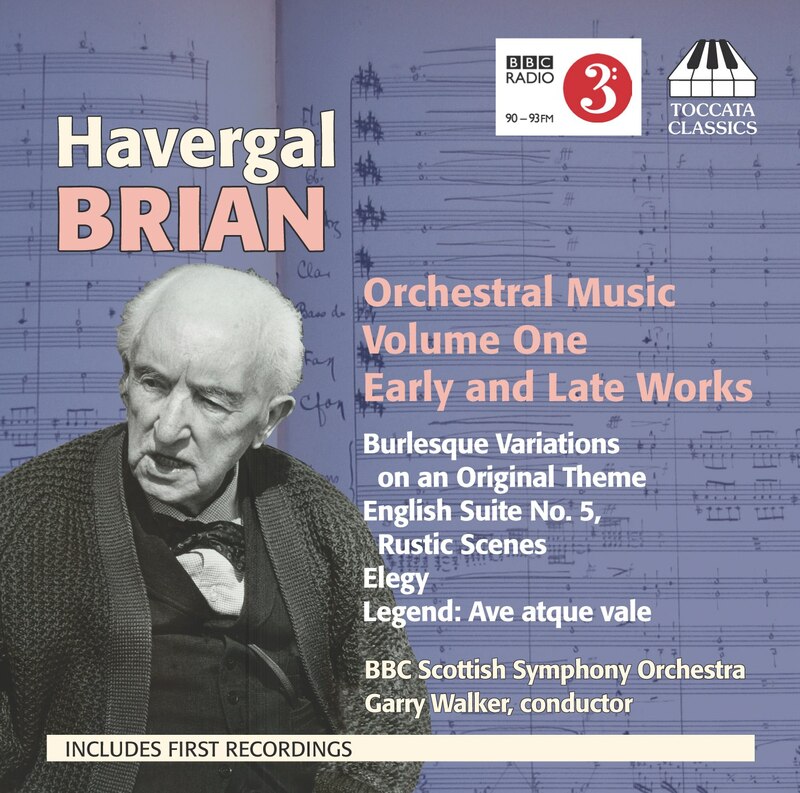 Havergal Brian (1876-1972) is best known as a prolific composer of symphonies – among them the enormous Gothic – who is gradually becoming recognised as an important and indivdual voice in twentieth-century British music. It is far less widely realised that for a period of nearly 45 years (1904-49) Brian was a comparably productive musical journalist. His articles, reviews, editorials, personality profiles, and columns of comment on contemporary events – sometimes pseudonymous, often unsigned – appeared in a variety of journals, most notably Musical Opinion, of which he was Assistant Editor from 1927 to 1940. They reveal him as a highly perceptive if sometimes idiosyncratic observer with a startling breadth of interest and a fund of personal reminiscence, many of whose insights were well in advance of his time. Malcolm MacDonald has been investigating Brian’s vast journalistic output, using his letters and other evidence to trace many of his unsigned contributions, and has selected enough material to fill a projected series of six volumes, each grouped around a common theme. 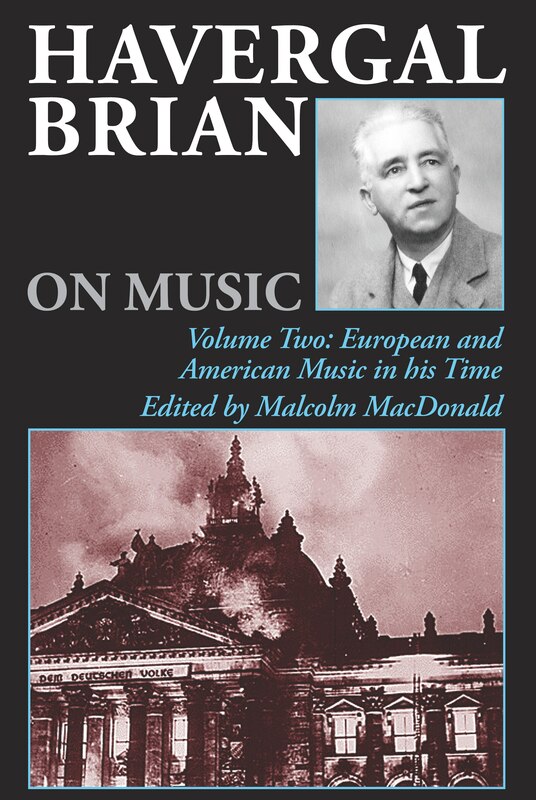 In this first volume of selections, he has brought together many of Brian’s principal writings on the composers and events of the British Musical Renaissance – from polemical articles written when actively campaigning for his fellow-composers in the Midlands before World War I, to more considered appraisals of the inter-War period. 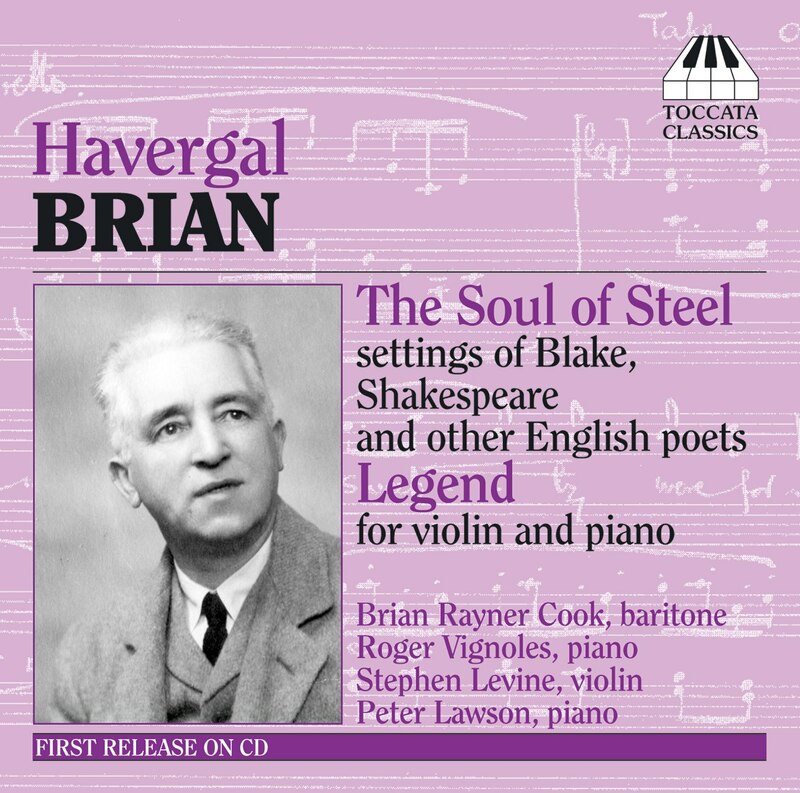 Brian’s heroes Elgar and Delius and his close friend Granville Bantock are generously represented – but we also find him discussing figures as diverse as Bax, Britten, Foulds, Goossens, Holbrooke, Holst, Billy Mayerl, Cyril Scott and Vaughan Williams; reviewing the 1906 Birmingham Triennial Festival, adjudicating at the 1923 National Brass Band Championships at the Crystal Palace (and watching the Palace burn down in 1936), proposing schemes for the encouragement of orchestral music in Britain, and casting a critical eye on the burgeoning power and influence of the BBC. In a substantial introduction, Malcolm MacDonald outlines Brian’s journalistic career; and he has annotated the articles to elucidate Brian’s copious contemporary references. 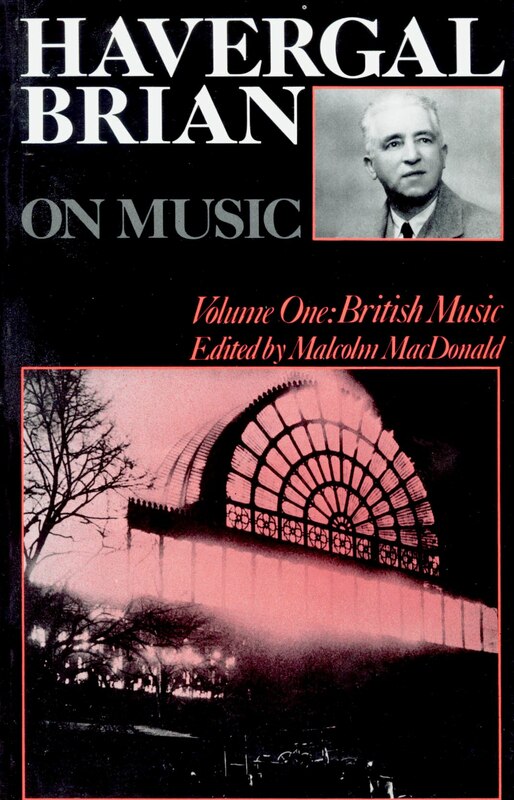 The result is both a work of scholarship and an important historical source for an understanding of the British music of the early twentieth century.